Our Wishlist Wednesday item is grass seed. Our pastures are tired and worn out and we'd love to have a lush pasture to let the horses into this spring. We threw out two bags of grass seed but it only hit the high spots that are worn down from over grazing. Any type of grass is welcome and any amount is welcome. The entire bottom of our pasture is flooded so we are expecting a bunch of weeds and very little grass to reappear when the water soaks in to the ground. 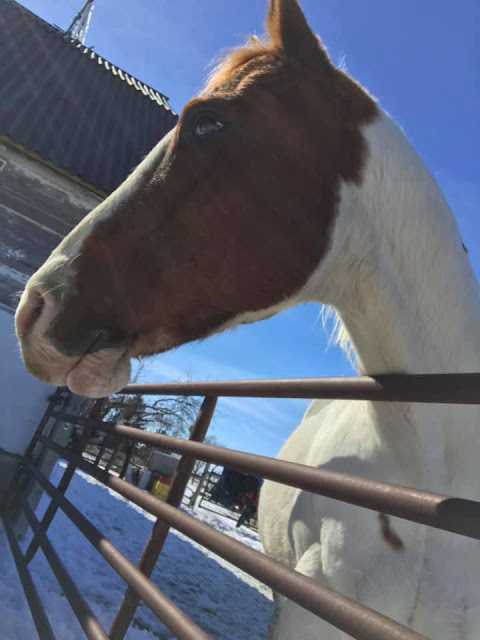 Won't you consider a donation to help keep the horses fat and happy this summer? It's #TipTuesday. Spring is in the air and so is spring cleaning. Here's a few helpful hints to get you motivated for cleaning. It's a day where you send your pets off to work while you stay home. Sadly, I don't think any of our pets would make much money. 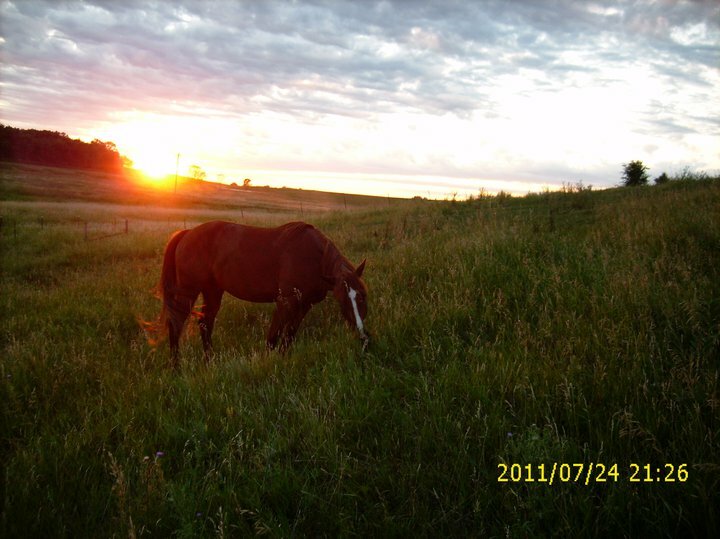 The horses are all retired and enjoying the good life. I guess instead, I'll head on in to the paying job to keep the Sanctuary afloat. Wishlist Wednesday. Every Wednesday we try to provide one little item that we need at the Sanctuary that would make life easier it would help cut down on cost. We get asked “what do you need” and I always come up blank. So Wednesday’s are a way for me to keep tabs of everything. Today’s wishlist item is a hose reel. Now that it’s nice out, we are using hoses instead of carrying bucket after bucket after bucket to keep the mares’ 100 gallon tank full. We’d love to have a hose reel so the hoses aren’t either lying all around getting lost or me spending time trying to coil them up every day and carrying them to one spot or another only to need them the following day. It’s just one way of speeding up some mundane chores so we can focus our attention on the horses. We drag about 350 feet of hose around every couple of days to keep the mares' water full. A hose reel (or two) would help in keeping the place looking neat and tidy (the goal for this year)! It's #FordMustangDay. And you're wondering what does that have to do with me?! Well, we want to see your horsepower! Post a picture in the comments and show off your mustangs or your horsepower! Or head over to our Facebook page and leave a picture and a comment. The picture is of Sam, one of our Belgians that has since passed. He's definitely all horsepower! It's #TipTuesday! As our horses age, we sometimes need to offer additional supplements to help. 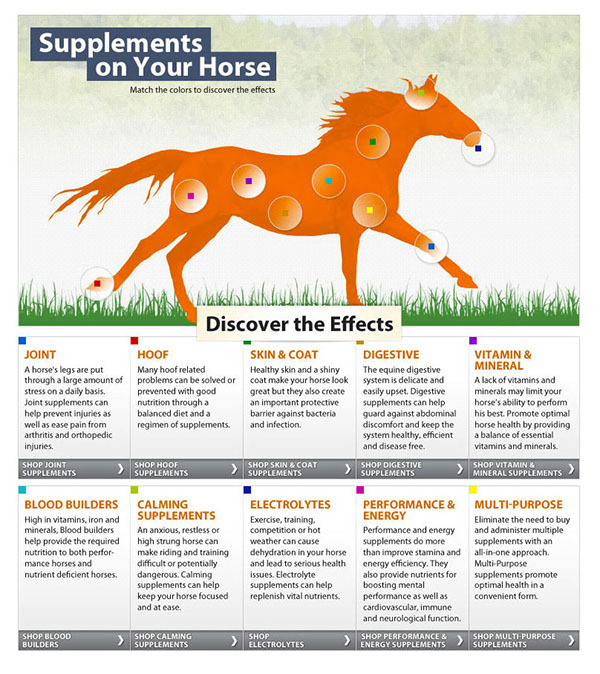 Here's a little infographic from horse.com that might help you figure out what supplement your horse might need. Today is Wear Your Pajamas to Work Day! While we all have full time jobs to help pay the bills, the Sanctuary is run on volunteers and after the paying job ends. Half the time we do our chores in pajamas. So why don't you come on out to help us with projects in your pajamas.